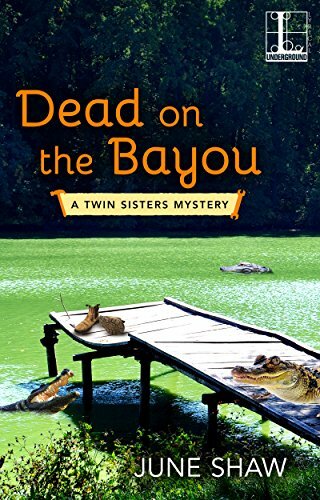 Book two in the identical, head turning, carpenter sisters, with bodies ending up being found by them. Both Sunny and Eve live very busy lives, and hard to imagine but they have a remodeling business. As first one body shows up, and a bit of romance is ensuing, you wonder whom the hunk is going to end up with, but where he ends up is not what you were thinking. With these two you are never going to know when the next shoe is going to drop, or body either for that matter. We also get to enjoy the twins Mom and the other folks at the senior home, and they have much wisdom to offer these two sisters. A quick and enjoyable read that you will need to keep reading to find out who! 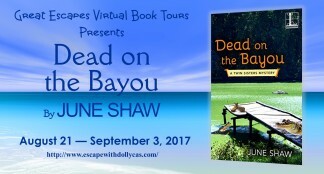 I received this book through Great Escapes Book Tour and was not required to give a positive review. Todd M. Johnson has been a practicing attorney for over 30 years. Todd's passion for writing blends well with his legal career, and his novels are drawn closely from his personal experiences as a trial lawyer. 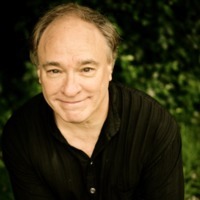 A graduate of Princeton University and the University of Minnesota Law School, Todd taught for two years as an adjunct professor of International Law, and has served as a US diplomat in Hong Kong. The Deposit Slip, Johnson's first novel, debuted in 2012. 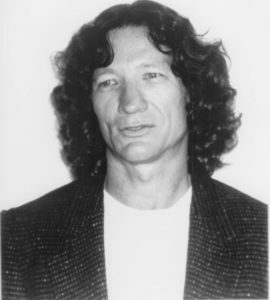 His second novel, Critical Reaction, was released in October 2013. 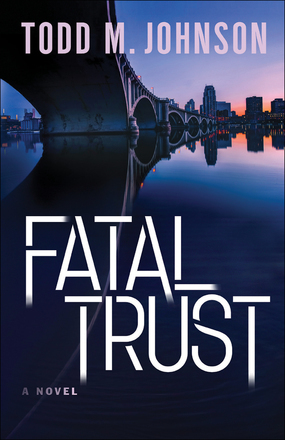 A third novel, Fatal Trust, is set in Todd's hometown of Minneapolis, and released in early summer 2017. This book touches on several subjects, but mainly a murder and a thirty-five year old robbery. At the beginning we are not privy to where the money for a trust comes from, but wow you will be guessing right to the end. Then there are surprises abounding, and I didn’t see several of the things that happened coming. The author has woven a tale that happens before the main character is born, but he is terrorized by part of it when he is nine. We meet Alzheimer’s head on, and the author shows Ian’s Mom as lucid and then again in the capture of the horrible disease. You will love how they embrace Martha, but was surprised how often she was left alone, and we see some of what happens at that time. 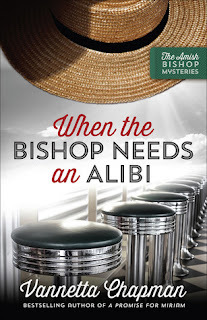 Although this book is published by Bethany House, I was a bit disappointed that it really is not a Christian read, yes it is a clean story, but very little to point you to Faith. Be ready to non-stop action, and some with their lives and jobs on the line, and you will have to read to the end to find out how things are going to turn out. I received this book through Bethany House Bloggers, and was not required to give a positive review. 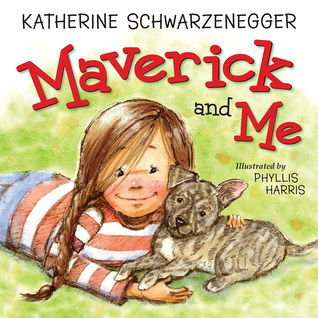 Dog lover and animal advocate Katherine Schwarzenegger draws from her own experience with fostering and adopting dogs to create a picture book that introduces children to the concept of “adopt, don’t shop.” In the heartwarming story of Maverick and Me, Maverick is rescued by a kind-hearted stranger after being dumped on the side of the road. The little puppy’s luck takes a turn for the better when young Scarlett meets him at an adoption event. Scarlett is so moved by Maverick’s story that she and her mother decide to give him the forever home he is looking for. Each year, millions of dogs find themselves in shelters and with animal rescues through no fault of their own. Maverick will help teach children about these dogs and empower even young readers to advocate for shelter pups. Katherine Schwarzenegger is a lifestyle blogger and best-selling author of “Rock What You’ve Got: Secrets to Loving Your Inner and Outer Beauty from Someone Who’s Been There and Back” and “I Just Graduated… Now What?” She has appeared on The Today Show, as a guest co-host of The View and is a regular contributor to InStyle Magazine with her #AskKat videos. She speaks to and speaks for her generation of young women. Connect with her on Twitter, Facebook, Pinterest and Instagram. Maverick and Me made me think of my own children and actually several times where we were in the same position, and ended up with a new member of our family. The author introduces us to the rescuer and the store that opens it heart for a place where rescued animals can find forever homes. All are needed in the in the process to help find a new forever home. There are so many dogs in need, and this story will tug at your heartstrings, but with such a happy ending. Just be aware that there is a need, and this shares with the young ones, a sweet story along with delightful, colorful illustration. I received this book through Worthy Kids/Ideas Publishing, and was not required to give a positive review. Vannetta Chapman writes inspirational fiction full of grace. 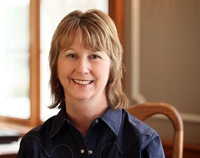 She is the author of many novels, including the Pebble Creek Amish series, Shipshewana Amish Mystery Series, and Plain and Simple Miracle series. Vannetta is a Carol award winner and also received more than two dozen awards from Romance Writers of America chapter groups. 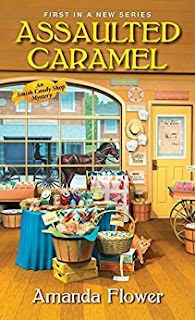 She currently writes Christian suspense, Amish romance, and Amish mystery. She was a teacher for 15 years and currently resides in the Texas hill country. For more information, visit her at www.VannettaChapman.com. 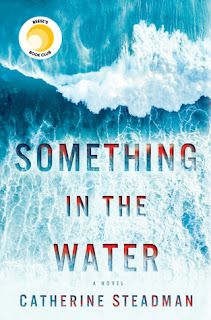 The second book in this series is just as good as the first one, and I could not put it down once I turned the first page. We see this beautiful, majestic country through the eyes of Henry, the Amish Bishop, and Emma, a long time friend of Henry’s, and we travel around this Amish Community, which takes place in the San Luis Valley of Colorado in the foothills surrounding the Sangre de Cristo Mountains. As with the first book, Henry’s gift of being able to draw with a rather photographic memory helps with the solving of a horrendous crime. When we first start reading we are soon aware of a crime, but it is so much deeper than we realize, and there is so much evil. The author has us walking in Henry’s shoes, and with our hearts in our throat, waiting for the other shoe to drop. You will keep guessing what is going on, and who is responsible right to the very end, and we can only hope that those we care about will survive. I would love to be able to go to a church meeting in Henry’s district, oh if only it weren’t fiction, and of course it would help if I were Amish. Thank you Vannetta, I loved this time I spent in Colorado, and I want to go and see the cranes. More information about her and her books is available on her website at www.melaniedobson.com. Be ready to get lost in the late ‘50s in England in a quaint village in the lakeside district, and remnants of a past time of fun adventure. 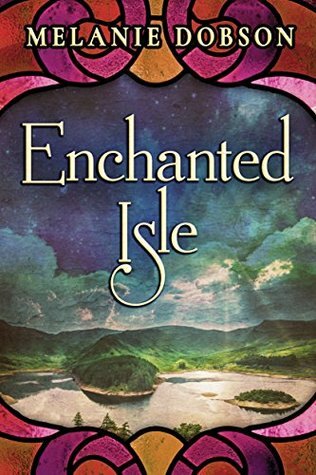 Through the eyes of the author we are able to glimpse a place where magic happens in an island amusement park. We are transported back to pre WWII, and then fast-forward to 1958 and a new generation get a look at the ruins. When a young woman comes from Cleveland to visit her mothers old friend in England, a new and wonderful time is about to begin, and it circles around and back to her mother. There is a bit of everything here, and we get to enjoy the fells and the beautiful countryside through the eyes of a first time visitor Jenny. There is also a lot of guilt carried by several of the people we get to know, and a lot of it you won’t see coming. The unfolding of long held secrets, and finding forgiveness and allowing the acceptance to forgive, yes there seems to be a lot of blame for oneself here. Come and help solve an old crime, relive an old love affair, and welcome new love. I received this book through Net Galley and the Publisher Waterfall Press, and was not required to give a positive review. She finds her grandfather is doing better than she feared. Unfortunately, the same can’t be said for a local Englisch developer, whom Bailey finds dead in the candy shop kitchen—with Jebediah King’s chocolate knife buried in his chest. Now the police are sweet on her grandfather as the prime suspect. Despite the sincere efforts of a yummy deputy with chocolate-brown eyes, Bailey takes it on herself to clear Jebediah. But as a cunning killer tries to fudge the truth, Bailey may be headed straight into a whole batch of trouble . 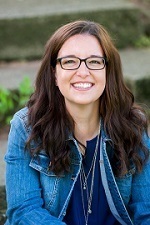 Amanda Flower, an Agatha-nominated mystery author, started her writing career in elementary school when she read a story she wrote to her sixth grade class and had the class in stitches with her description of being stuck on the top of a Ferris wheel. She knew at that moment she’d found her calling of making people laugh with her words. Her debut mystery, Maid of Murder, was an Agatha Award Nominee for Best First Novel. Amanda is an adult services librarian for a public library near Cleveland. 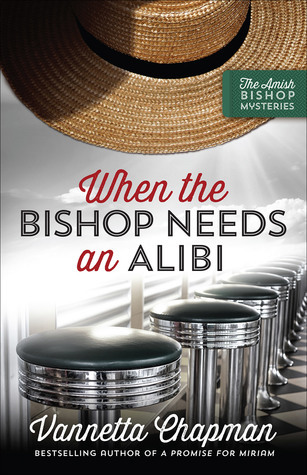 She also writes mysteries as USA Today bestselling author Isabella Alan. A very different type of Amish story, one where a young woman finds her roots in her Grandparents, but she was not raised in the Amish Community. Bailey returns to help her Grandparents in their Amish Candy Shop, when her Grandfather has health problems, not at a good point in her life, she is up for one fantastic promotion, but family comes first. When a murder happens in the back of the store, all of the characters are called into question, and we are left guessing almost to the end. I love when I can’t guess the “who done it” right away, and this one did not disappoint. I loved the relationship she has with her family, but you keep waiting for the other shoe to drop, and page turning to the end. I received this book through Net Galley, and the Publisher Kensington, and was not required to give a positive review. County sheriff Mac McCall can’t afford to be distracted by the pretty young widow, not with scandalous secrets emerging as he investigates his friend’s suspicious death. Mac’s gruff order that she leave town at once only spurs Emilia’s resolve to take ownership of her late husband’s ranch and face his debtors. 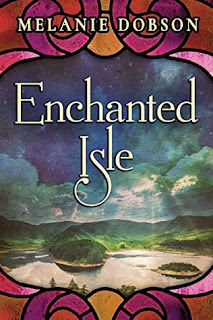 But as her defenses soften, Emilia begins to accept Mac’s help, feel compassion for his own wounded heart—and learns that trust means taking a leap of faith. 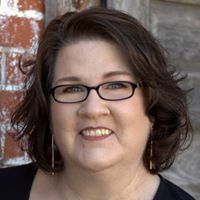 Gina Welborn worked in news radio writing copy until she had the epiphany that the news of the day was rather depressing, so she took up writing romances because they always end happily. 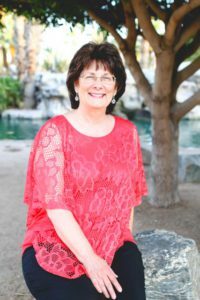 Gina is a 2009 ACFW GENESIS historical romance finalist and a 2007 RWA GOLDEN HEART® inspirational finalist. 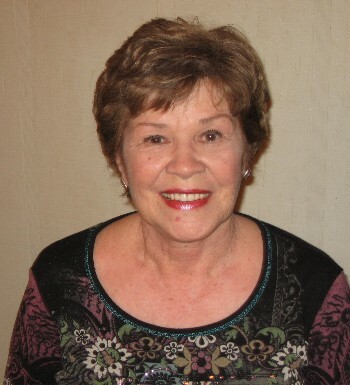 As a member of RWA and ACFW, she is an active contest judge and coordinator. Her manuscripts have also finaled in the Daphne du Maurier, Duel on the Delta, Dixie, and Maggie contests. 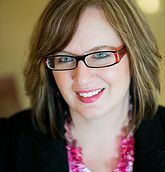 Oklahoma-girl Gina now lives in Richmond, Virginia with her youth-pastor husband and their five Okie-Hokie children. 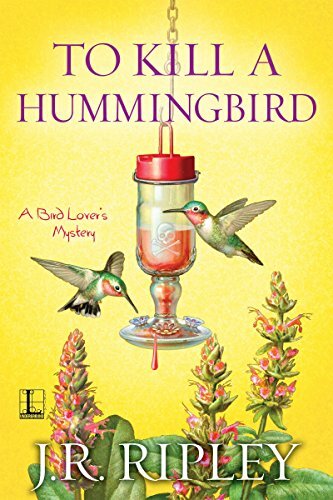 Becca Whitham (WIT-um) is a multi-published author who has always loved reading and writing stories. After raising two children, she and her husband faced the empty nest years by following their dreams: he joined the army as a chaplain, and she began her journey toward publication. Becca loves to tell stories marrying real historical events with modern-day applications to inspire readers to live Christ-reflecting lives. She’s traveled to almost every state in the U.S. for speaking and singing engagements and has lived in Washington, Oregon, Colorado, Oklahoma, Alaska, and South Carolina. 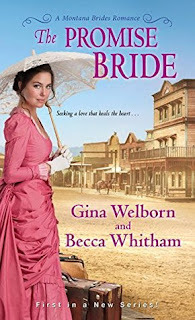 A refreshing new look at a Mail Order Bride where most arrive at their destination and quickly go to the preacher, our bride, Emilia, because of circumstances has chosen to be married by proxy and arrives already married. Emilia has only to file the paper work and she has a valid marriage to Finn, but when she arrives in Helena her life will never be the same. The author gives us a wonderful glimpse into daily life in the west, and had to chuckle how Emilia goes about her ranch life from book learning, thank goodness for some willing neighbors. Now book learning is great, but actual hands on taking care of chores are quite different! The sad fact is when she arrives she finds out her new husband has been murdered, now what, and the sheriff and best friend of her husband wants her to turn around and go back to Chicago, but the fact remains she has nothing to return to. While the sheriff goes about trying to learn who killed his friend, Emilia has taken on the responsibility of paying off Finn’s debts, she does not like to beholden to anyone. All the while this family, yes Emilia has a sister and brother with her will worm their way into your heart, and you will be rooting for them. There are a lot of twists and turns to get to the end, and yes you will be page turning for answers, but once finished, you are going to feel like you have lost a dear friend. As this book wraps up we soon understand that not everything is, as it appears, a really great read that will linger with you. Termed an Incomparable during her first London season, Lady Harriett Cavendish is beautiful, spirited, and confident, capturing the attention of a great many suitors. Unfortunately, they all failed to capture her attention, and she concluded the season as unattached as she’d begun it. Only weeks prior to her second season, Harriett encounters Lieutenant Christopher Jamison while visiting Tanglewood Manor. Recently returned from war, the lieutenant is everything that Harriett's previous suitors were not. He’s arrogant, ungentlemanly, irritating, and challenges her at every opportunity. When he goes too far, Harriett decides that it’s time to turn the tables on him. But as she sets out to put the lieutenant in his place once and for all, she discovers there is more to him than meets the eye, and when it comes to matters of the heart, she has no control whatsoever. $75 Amazon Gift Card or Paypal Cash Giveaway Ends 9/22/17 Open only to those who can legally enter, receive and use an Amazon.com Gift Code or Paypal Cash. Winning Entry will be verified prior to prize being awarded. No purchase necessary. You must be 18 or older to enter or have your parent enter for you. The winner will be chosen by rafflecopter and announced here as well as emailed and will have 48 hours to respond or a new winner will be chosen. This giveaway is in no way associated with Facebook, Twitter, Rafflecopter or any other entity unless otherwise specified. The number of eligible entries received determines the odds of winning. Giveaway was organized by Kathy from I Am A Reader and sponsored by the author. VOID WHERE PROHIBITED BY LAW. 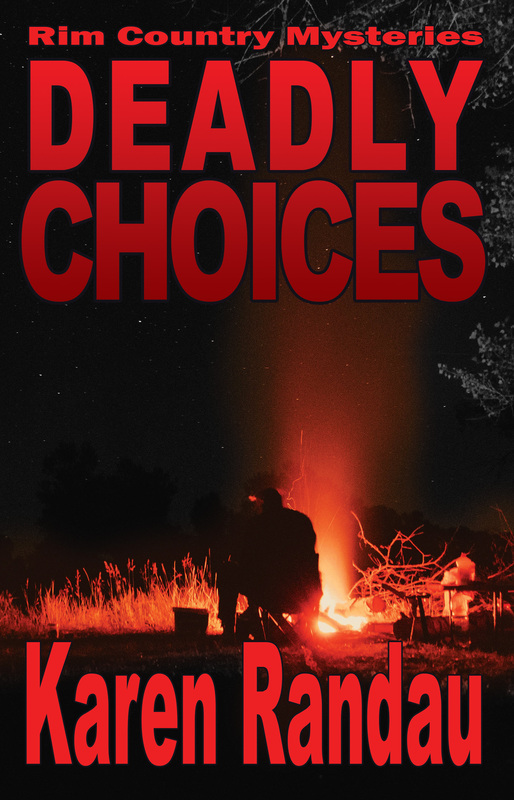 About the Author Karen Randau is the author of the Rim Country Mystery series. 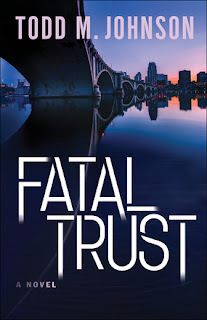 Her fast-paced novels include Deadly Deceit, Deadly Inheritance, and Deadly Choices, each with intricate plots and lots of action and told from the point of view of protagonist Rita Avery. TOUR PARTICIPANTS August 14 – Island Confidential – INTERVIEW August 15 – Readsalot – SPOTLIGHT August 16 – Celticlady's Reviews – SPOTLIGHT August 17 – My Reading Journeys – REVIEW August 18 – Brooke Blogs – GUEST POST August 19 – A Blue Million Books – INTERVIEW August 20 – The Book's the Thing – SPOTLIGHT August 21 – Valerie's Musings – GUEST POST August 22 – Cozy Up With Kathy – INTERVIEW August 23 – StoreyBook Reviews – GUEST POST August 24 – Escape With Dollycas Into A Good Book – REVIEW August 25 – 3 Partners in Shopping, Nana, Mommy, &, Sissy, Too! - SPOTLIGHT August 26 – Christa Reads and Writes – REVIEW August 27 – Laura's Interests – SPOTLIGHT August 27 – Maureen's Musings – SPOTLIGHT Have you signed up to be a Tour Host? Click Here Find Details and Sign Up Today! Gail Grace Nordskog has established the “Gail Grace Nordskog Collection” to embolden readers to live their lives with a “heart of purpose” for God’s glory. Gail has been involved in media for over two decades. 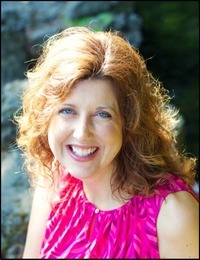 She presently produces and hosts a program called Hearts of Purpose, that can be seen on her website, heartsofpurpose.com. Gail and Jerry Nordskog live in Ventura, California, where they have raised six children, four of whom were adopted from China. You have a call on your life. My desire is to encourage you to live life in fulfillment of that call. Following the example of Joan of Arc, you can be inspired to live out your purpose in first hearing from God and then taking your stand in following Him. Just as Joan of Arc could step forth in full confidence under the banner of her calling, so we too are under God’s banner as we step out to fulfill our purpose. 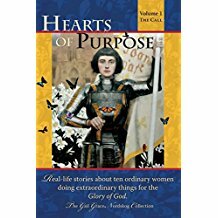 Hearts of Purpose brings you ten real-life stories about ten ordinary women doing extraordinary things for the Glory of God. As you read of how God called these women to service, you will be motivated to explore His call in your own life. Let this reading experience be an invitation for you to take a step closer to fulfilling your God-given calling in Christ Jesus. Mary Ann Ambroselli (chapter 1 starting on page 21) On January 5, 1965, at 10:18 p.m. I gave birth to a beautiful baby boy, weighing 8 pounds, 10 ounces. I was told when the baby was born that I would not see him or be able to hold him, and that he would be taken to his awaiting adoptive parents. I also knew that adoptive parents often did not tell their adopted child that they were adopted, so chances were that he would never know about me. The morning after he was born, a nurse who did not know my baby was being adopted brought him to me and laid him in my arms. Another nurse came in right away and apologized for the mistake, and took him away. To this day, I am grateful for that moment. I was able to look into his face and tell him I was doing this because I loved him and wanted him to have a life that a two-parent family could give him. The image of his perfect little face is imbedded in my memory. To date, I do not know anything about him or if he knows he was adopted. I continue to pray for him! As I left the hospital with my mom, depression and sadness set in. I struggled with the meaning of life and what to do next. I did not want to go to church. Facing people there would be much too hard. Besides, all that had happened in my life did not reveal to me that God was loving or compassionate. And, I was sure He did not care about me. I spent my days crying a lot. I had six weeks from the day of my baby’s birth to change my mind about adoption, which I did consider. Dad said there was no way he would support me and the baby. Since I had no idea what I would do or how to support myself with a baby I decided that signing the adoption papers was best for all involved. Even though he may never read this, the following poem written for my son has brought me a lot of comfort. I’ve carried you beneath my heart, and now must let you go. That you will not remember this, or me, as I do you. The years will take you even farther from my reach and view. Now other eyes will cherish you, and other arms embrace, Now other tears will fall for you, and other voices sing, Yet this I do, that you may never want for anything; not even distant echoes of my weeping as we part; The name I name you, or the thunder of my breaking heart.